TS POLYCET Exam Dates 2019 are available. Obtain Telangana Polytechnic Common Entrance Test (Polycet) 2019 Schedule now. Aspirants can check the TS POLYCET Important Dates which are given below. Aspirants can get more information regarding TS CEEP Important Dates on this page. TS CEEP Exam Dates are essential to prepare for the POLYCET Exam 2019. Without knowing anything about the TS POLYCET Important Dates, we cannot start our preparation. Everyone knows that planning and preparation are necessary for an exam. Depending on the TS CEEP Exam Dates 2019 we can easily plan our schedule of preparation. Most of the students face difficulties searching here and there for the Telangana state Polytechnic Common Entrance Test Exam Dates. So, to make your search easier here, we have provided the complete details of TS POLYCET Exam Dates. We advise the aspirants to check the below TS POLYCET Important Dates and start your preparation for the CEEP Examination. So, the interested and eligible candidates can apply for the Telangana Common Entrance Exam for Polytechnic before the last date. TS CEEP Exam Dates are important so that you can attend all the events related to TS Polytechnic Entrance Exam 2019. Not only the Telangana POLYCET Exam Dates but also we have provided all the Important Dates regarding SBTET Notification 2019. Last Date to Register 4th April 2019. Closing Date to apply for the late fee In April 2019. Last date for Application correction April 2019. TS POLYCET Exam Hall ticket download The First week of April 2019. 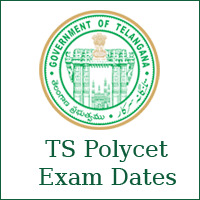 TS Polycet 2019 Exam Date 16th April 2019. TS Polycet Exam Timings 11:00 AM to 1:00 PM. Results Release Date 24th April 2019. Rank card download The first week of May 2019. Telangana Polycet Counselling date July 2019. TS POLYCET is organized every year by Telangana State Board of Technical Education & Training. So, the students who have completed their 10th or equivalent from the State Board Can apply for the TS POLYCET Exam. The TS CEEP Exam is conducted in April. So, the students check the TS POLYCET Important Dates provided below and apply before the link expires. A huge number of candidates appear for the TS CEEP Exam every year. Through the TS POLYCET Exam State Board of Technical Education & Training provides entry into various Engineering and Non- Engineering courses. We have given the complete information regarding TS POLYCET Exam Dates like Telangana CEEP Online Application form, Hall Ticket Release Date, and other details. So, the aspirants willing to attend the TS POLYCET exam should remember all these important dates.